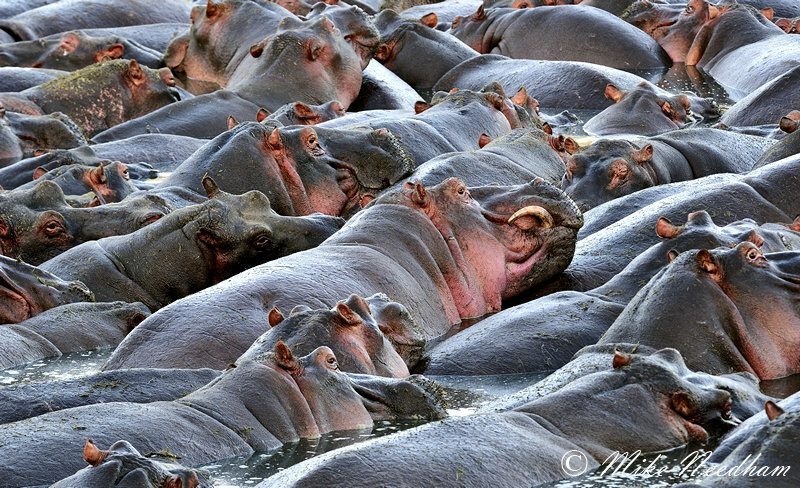 Trip Type: Bespoke itinerary on my own organised by Zambezi.com using their Tanzanian agent Tanzania Journeys. 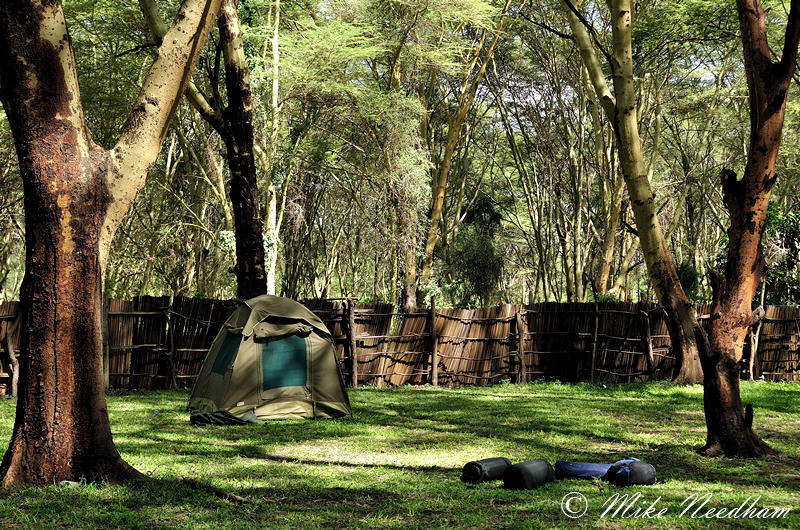 I had my own guide, camp cook (except at Ndutu) and vehicle for maximum flexibility. 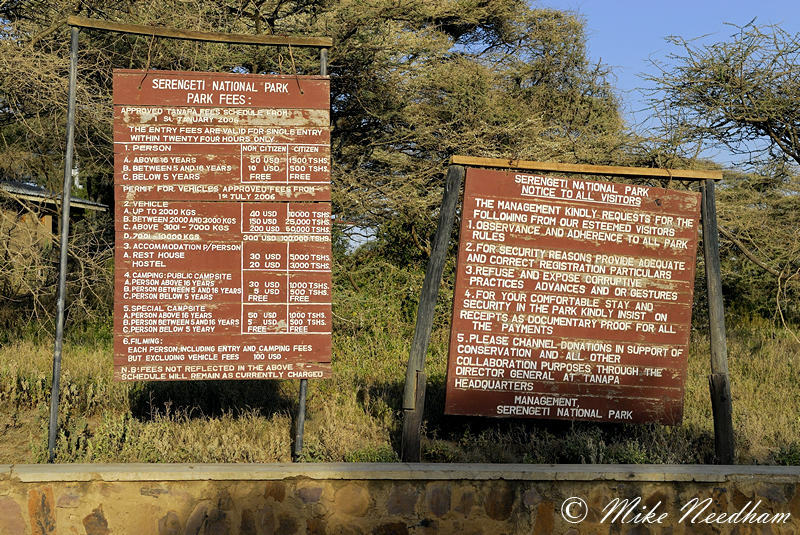 Outline Itinerary: Lake Manyara (2 nights), Ngorongoro Crater (1 night – crater visited afternoon and morning either side), Seronera central Serengeti (3 nights – originally planned for 4 nights), Ndutu southern Serengeti / Ngorongoro conservation area (6 nights – originally planned for 5 nights), Tarangire (1 night - visited afternoon and morning either side). There were no rest periods, I went into the first park the afternoon I arrived and visited the last one on the morning that I flew home. Fabulous! Equipment: Nikon D200, D300/MD-10 (x2), Nikkors 70-200/2.8, 200-400/4, 17-55/2.8, 12-24/4, TC-14E, Arca Swiss Z1 B&S head, Gitzo GT3540XLS, SB-800, polarizing filters (77mm B+W, Nikon C-PL1L 52mm drop-in), beanbags, + laptop, readers, duplicate ext. hard drives, etc (the 12-24mm, TC-14E, tripod and flash were all used very little). 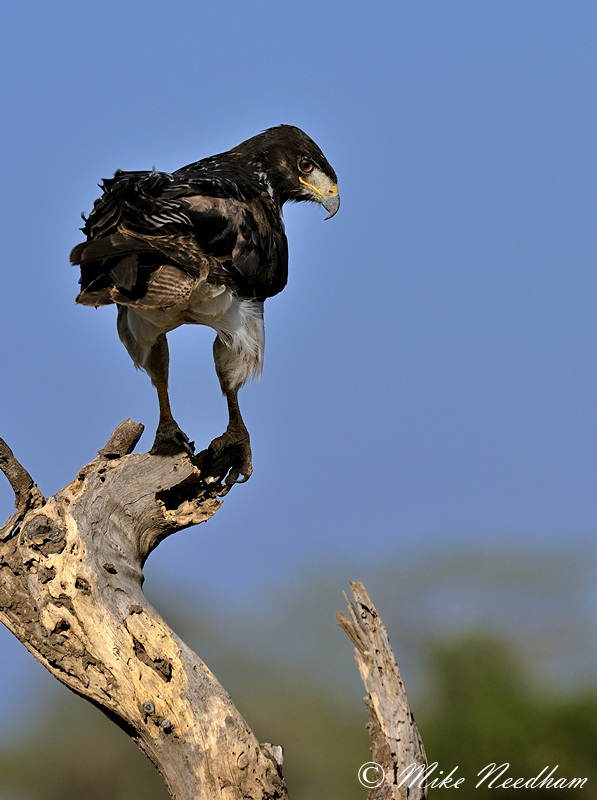 This trip was totally geared towards maximising the amount of quality photography time that could be crammed into two weeks whilst still covering a variety of habitats and reserves. In order to do this any travel between different regions and / or camps was done outside of the ‘golden hours’. This was not chance, I designed and negotiated the itinerary specifically in this way. The only exception to this was the drive to the airport on the afternoon of the last day which was unavoidable (but still frustrating). 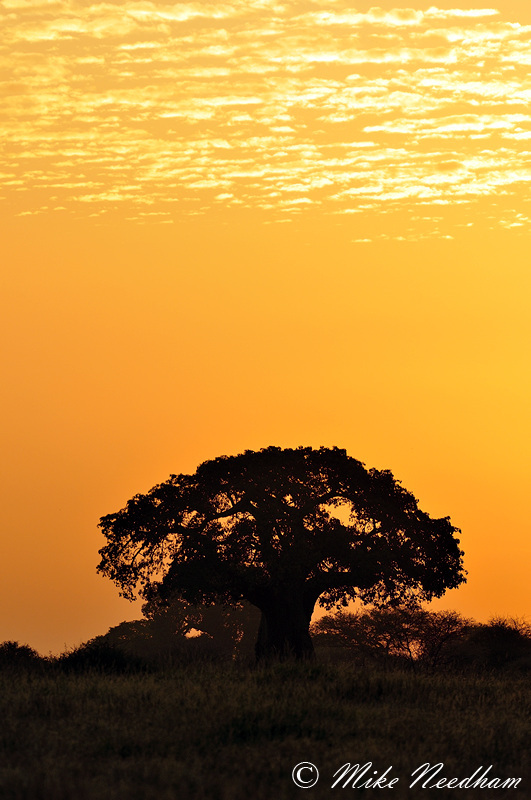 This may sound like an obvious thing to do but it does have implications which may not suite everyone, or indeed every safari company or guide. The days were long. Every day I was on the road early, often long before sunrise, to be sure that we were in the parks as early as possible and, once I had seen the lie of the land, to get to a promising spot for sunrise. This paid dividends a number of times; in Manyara NP we got to a lovely spot to see the sunrise, the event was not as impressive as the previous day (when I was new to the park and not in a good location to get some shots) but at least I was there with the chance of a great shot i.e., I had done all could to stack the odds in my favour. The area chosen was also where the best early light was to be had and where there were good chances of seeing suitable animal subjects based on the experience of the previous day. In the Seronera region I was rewarded with a nice secretary bird silhouette (something I spotted someone else shooting and I joined them), an early start got me to Ritima hippo pool well before the sun lit the water for some beautiful light (and no other tourists), and on another morning I got one of my favorite ‘general’ shots of the trip which was of roosting marabou storks silhouetted against a beautiful blue pre-dawn sky. In the crater it is a little more restricted and difficult. Certainly the very last of the evening light is lost due to the crater walls but also, and more frustratingly, as a result of the ludicrous times that you need to vacate. Vehicles have to be out of the gate (most of the way up the side of the crater wall) by 18:30, 20 mins before sunset and by the time that you have got to the gate it means an effective end to photography at least 45-60 minutes before sunset. Considering there is no real need for this and the high charges for entering the crater ($200 for the vehicle plus whatever the fees are for the guides, tourists (typically about $50 each), etc., and for only 6 hours max.) this just seems totally unnecessary to me. 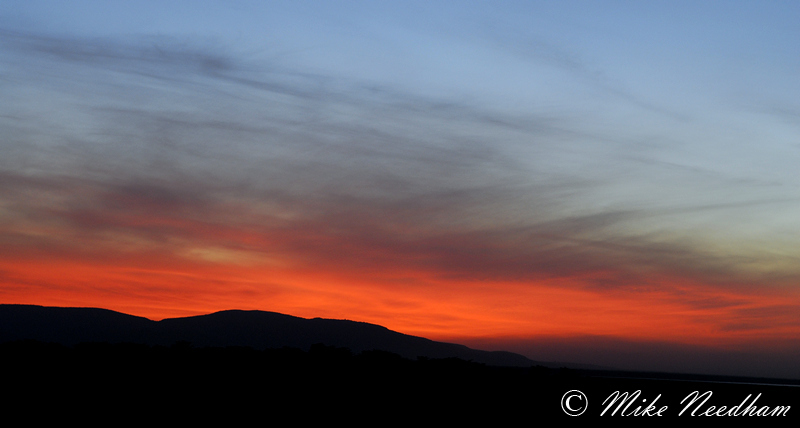 The mornings are a little better and the crater can be entered just before sunrise. 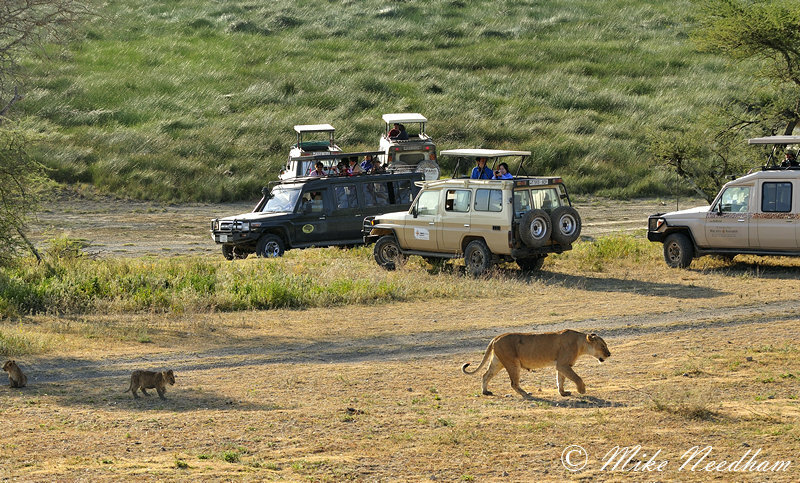 This we did and my guide suggested we headed for an area where the previous afternoon we had seen lions make a kill. This was one of the few times that I went totally against his advice and asked that we headed for the woodland area in the opposite direction. You have to remember too that the guide’s priorities are to get you to see the most impressive animals as much as possible as that is what most tourists want, you have to keep your photographer’s brain engaged at all times and be willing to direct your time and not just go with the flow. My logic here (other than I already have lots of pictures of lions in grass!) was that based on the sunrise position the woodland would get the earliest of the direct sunlight as it came over the crater rim, it was also a popular spot for elephant, and I had a specific type of picture in mind. For once it paid off and I got a shot something akin to what I had visualized, I was delighted. 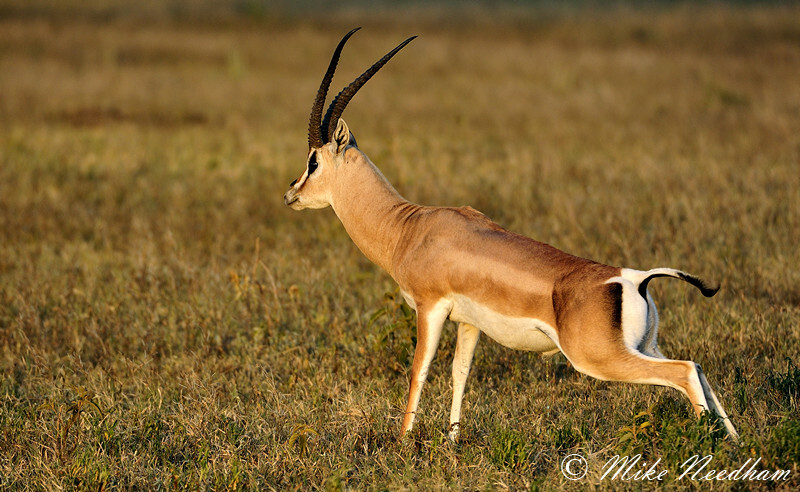 At Ndutu I had lots of opportunities to shoot in very early sunlight including lion, cheetah, sunrise over the lake, etc. 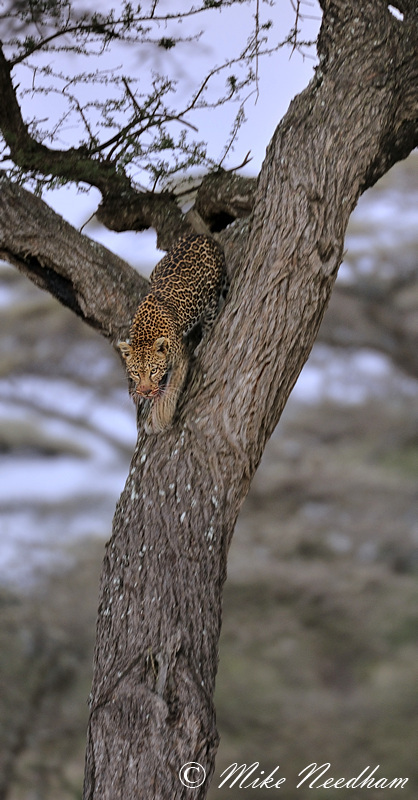 One morning out of Ndutu my guide spotted a leopard in a tree with a kill. It was a little distant but facing me and I had the pending sunrise behind me. An ideal combination. We did not approach too close for fear of spooking the cat; it had clearly fed already and was not totally relaxed about our presence. Some leopards behave as if you are not there (indeed we found such an animal the very next day), this was not one of them so we kept our distance. I got everything framed and waited for the sun to appear over the horizon behind me, it was due in about 5-10 minutes (always check the sunrise / set times for each area you visit, it can help you to plan start times etc.). There was even an almost full moon behind the animal but without the early morning sunlight the light levels were just too low for my aging camera to deal with. I took a few attempts and waited for the sun to do its magic. Then the worst thing possible happened, we heard the sound of a distant vehicle getting closer. My guide gestured to them to slow their approach but they carried on. “She is going to go” my guide whispered clearly irritated by the other vehicle’s approach. Sure enough the vehicle passed us and rapidly closed the distance to the now anxious cat, it stopped and the occupants started to loudly discuss the situation (sadly quite typical behaviour for members of their nationality during that week, but we won’t go into that). 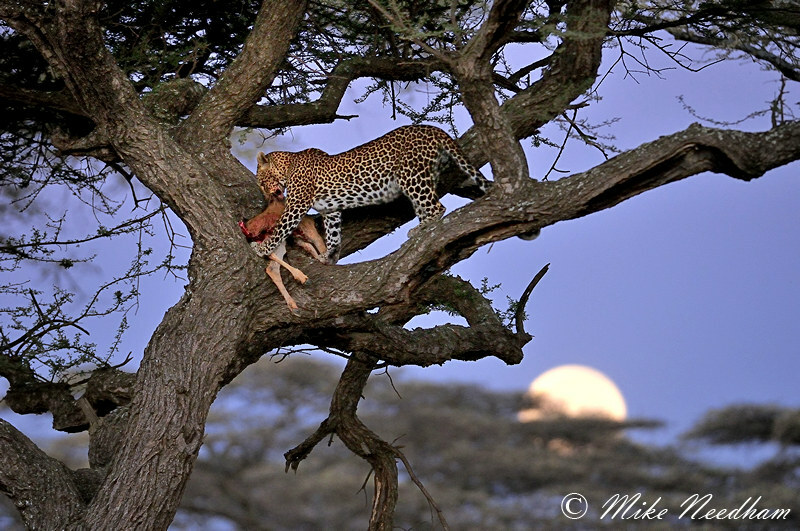 The leopard dropped down from the tree. At this the vehicle sped off back down the track, around the impenetrable low bush between us and the cat and approached it from the other side. I, with my non-existent bush skills knew what would happen next, so quite what their guide was thinking was beyond me. The leopard disappeared and so did any hope of a special picture. The next morning something similar happened (different vehicle, same nationality!) although as the location of the leopard was now known from the previous day it was a bonus just to see it on that occasion, but you have to try…. 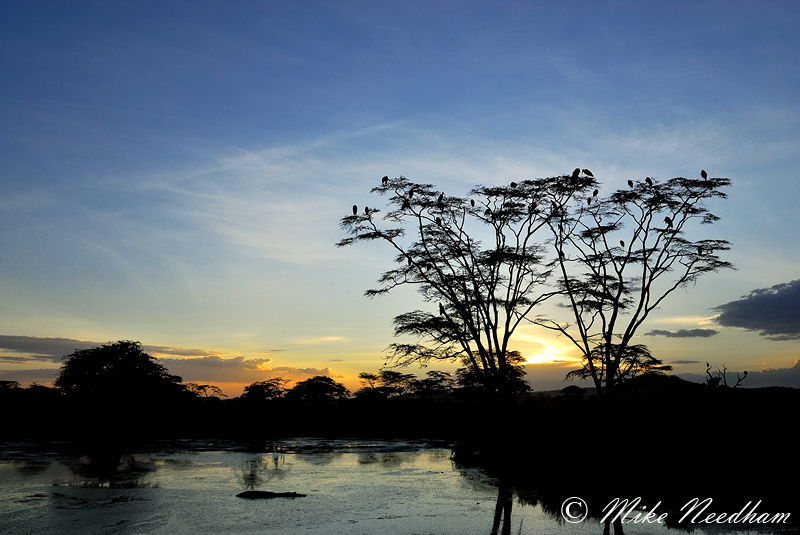 The point to all this is that to get the best light you not only have to get up early (I was often on the roads 1 to 2 hours some before others at Ndutu had wake-up calls booked for) but you also need to plan and think about what you do each day and not simply rely just on luck (and your guide) if you are to maximise your photography. This guarantees nothing but it does improve your chances of getting something a little special. The other end of the day should get similar attention and again I was usually not back in camp until after dusk. Usually other camp guests would be showered and enjoying a G&T by the fire by the time I rolled back into camp. This makes for very long days, for both you and your guide, so if you plan to work this way do try to have a break through the middle part of the day either by returning to camp for lunch or having a siesta in the vehicle. Even if you are not bothered your guide will certainly appreciate it. The photography at this time of day is generally poor anyway, so you are not really losing anything. I only shoot on through the middle of the day if it is overcast, stormy or there is something ‘special’ happening such as drinking, a river crossing, lots of dust, etc. The main focus for this trip was to be the wildebeest calving at what is arguably the start of their great migration around the Serengeti eco-system. 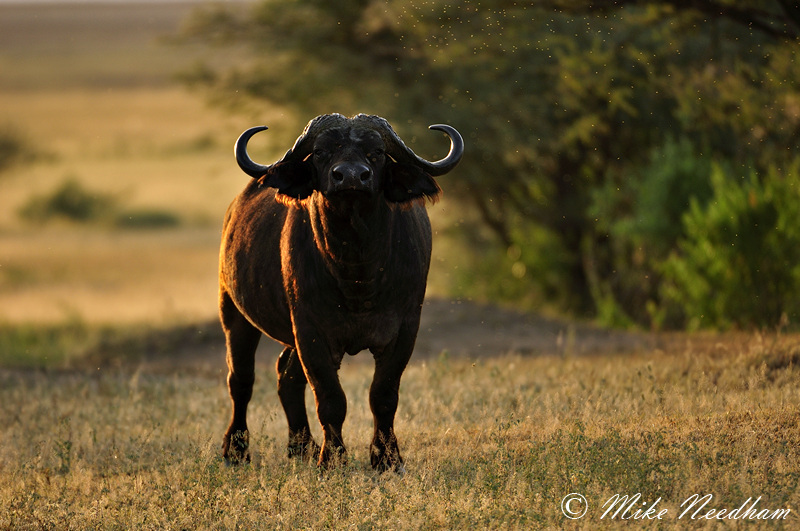 Sadly this did not really happen, the rains had failed (or were late) and the wildebeest cows had dispersed. Apparently the wildebeest cows can also delay giving birth by several weeks at times of hardship, an evolutionary adaptation for years such as this one. 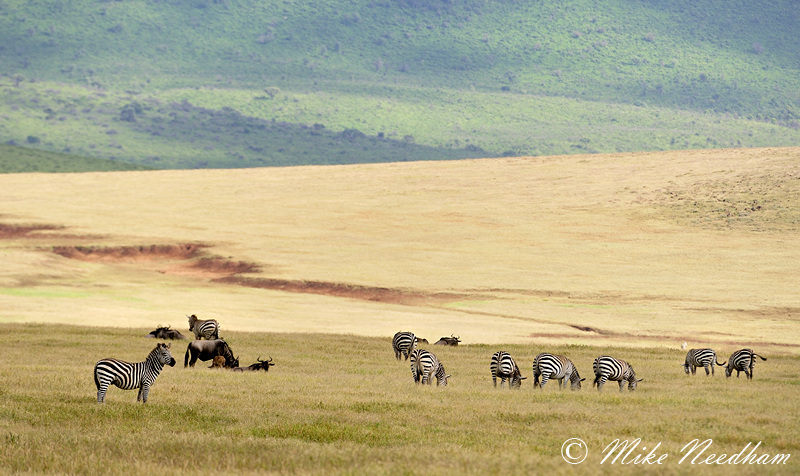 I did see some good congregations of zebra and mainly male wildebeest, but nothing on the scale that I was expecting. But, with nature you have to be flexible and able to adapt, and by doing this I still had a fabulously productive trip, it was just different to what I had expected and originally planned for. Most of the areas I visited were productive and enjoyable. I had originally planned to visit Arusha NP but this would have meant a brief visit on day one and in the hours of the harshest light. The tour company also originally scheduled for me to go straight to camp at Arusha and “rest” after my journey. 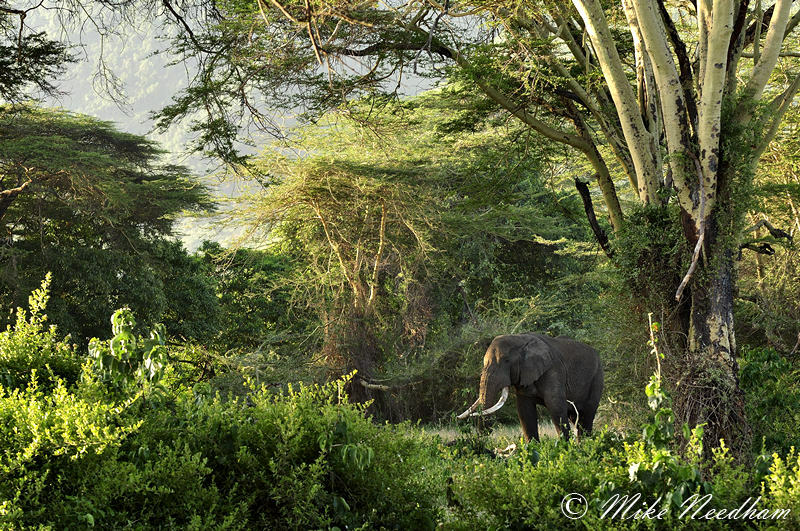 This I challenged and eventually got everything aligned to visit Manyara NP in the afternoon to make the most of the light, though this was only finalised a few weeks before departure. This is not the safari company being awkward or trying to ‘short change’ me, it is simply a reflection of the fact that most of their clients are primarily there for a holiday and going back home physically tired is not part of their plan. For serious photography you need to have different priorities, I never go home from such trips less physically tired than when I left home but the enjoyment is immense and the mental rest unequalled. Manyara NP was not densely populated with animals but it did, with a little work, provide some good opportunities (including Blue Monkeys which I had rarely seen before) with the escarpment wall providing an excellent back-drop. 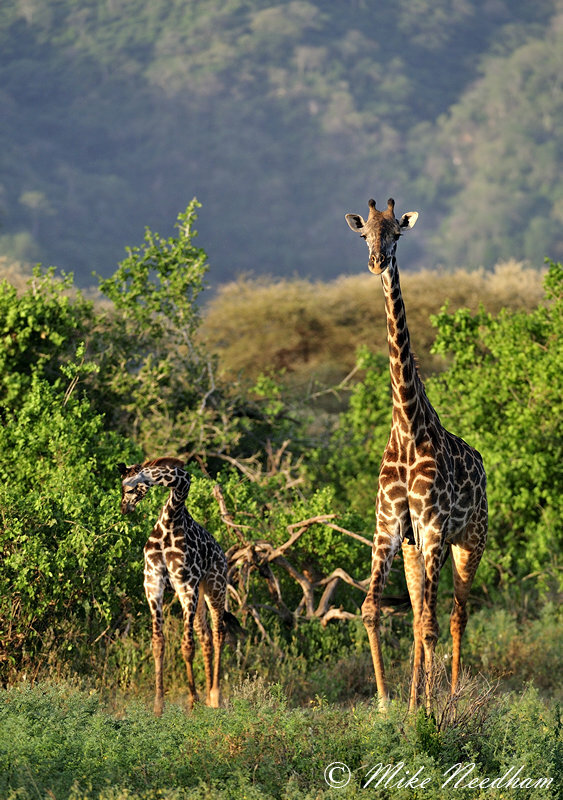 This was especially good for tall animals such as giraffe which I find frustration to photograph on the open plains as the horizon tends to cut across the neck of an animal and spoil the image. 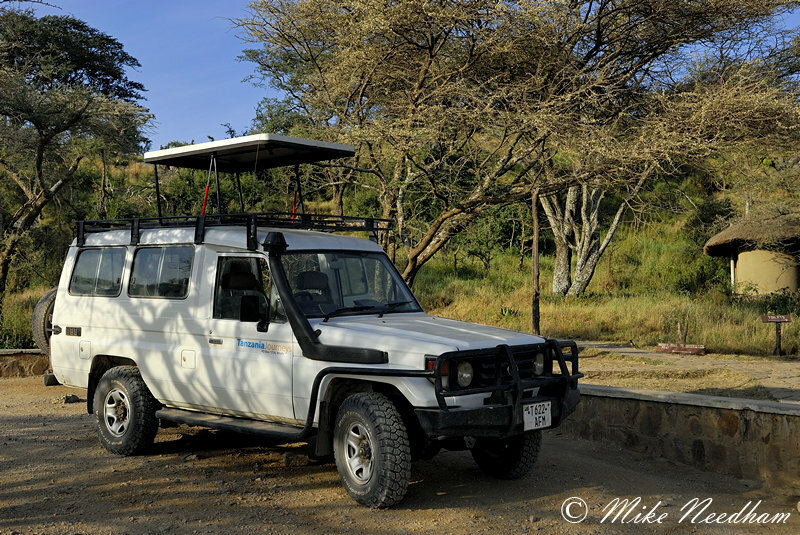 The Ngorongoro Crater is virtually guaranteed to provide good opportunities, and it did not disappoint this time, but I do find it rather too ‘touristy’ with the high number of vehicles and regulations. Still with effort and thought there are definitely some fabulous images to be had here and again the walls of the crater make an excellent backdrop. Photography aside, it would be a real shame to visit this region but never see the crater (technically it is actually a caldera, not a crater, but that does not change the breathtaking sight it presents). 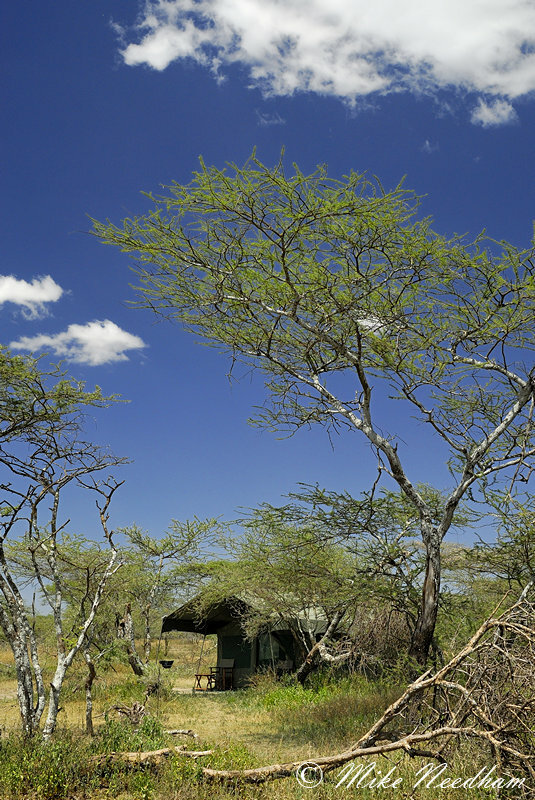 A panoramic of several stitched images of the Ngorongoro Crater as seen from a view point pull-in on the 'main road' - Spectacular! 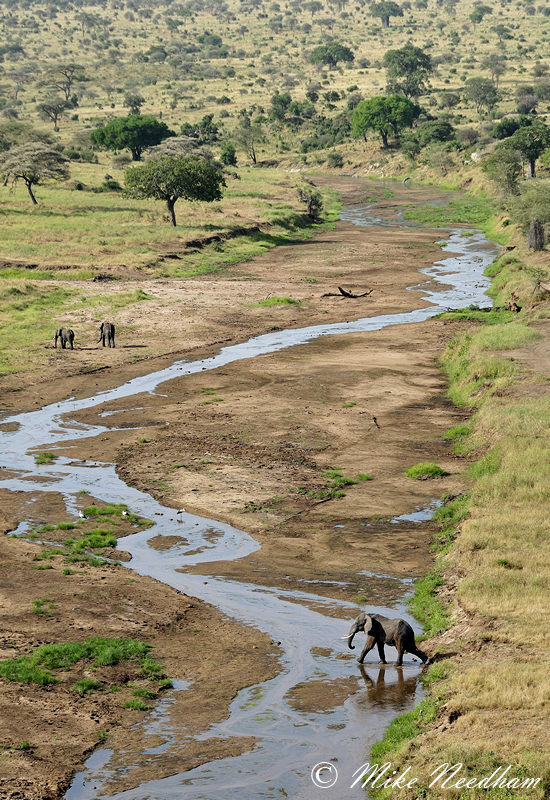 The Seronera region in the central Serengeti is known for its year round game viewing, even when the migration is further north in the Masai Mara. On this occasion I found it to be very disappointing photographically. 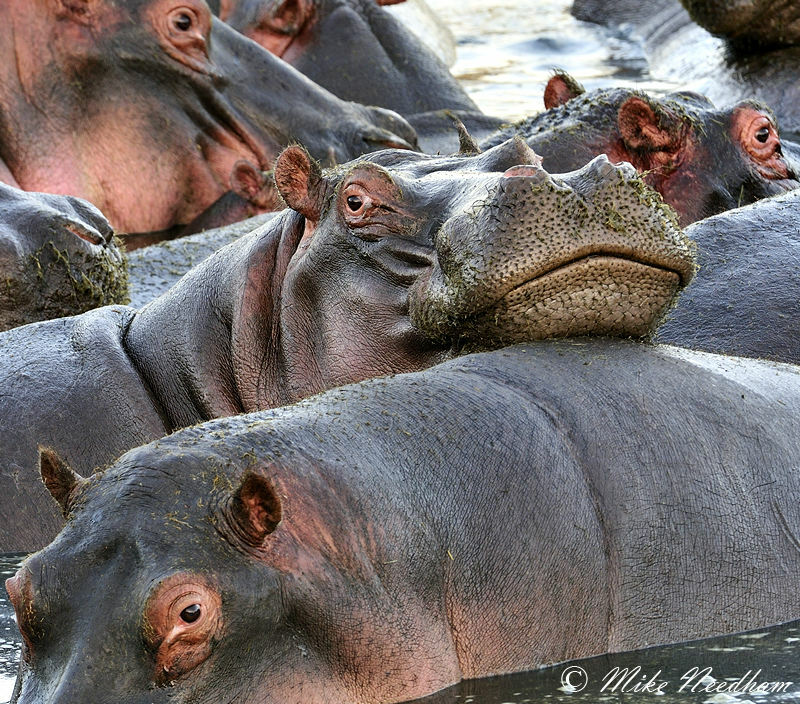 I say “photographically” as there was some reasonable game viewing but the relative scarcity of animals coupled with the inability to drive off of the few roads and tracks meant that getting good images was incredibly difficult and frustrating without a huge portion of luck (although specific areas like the hippo pool at Ritima are more consistent and very productive). Approximately half way between Seronera and the Ndutu region (and off to the west a little) are the Moru Kopjes. 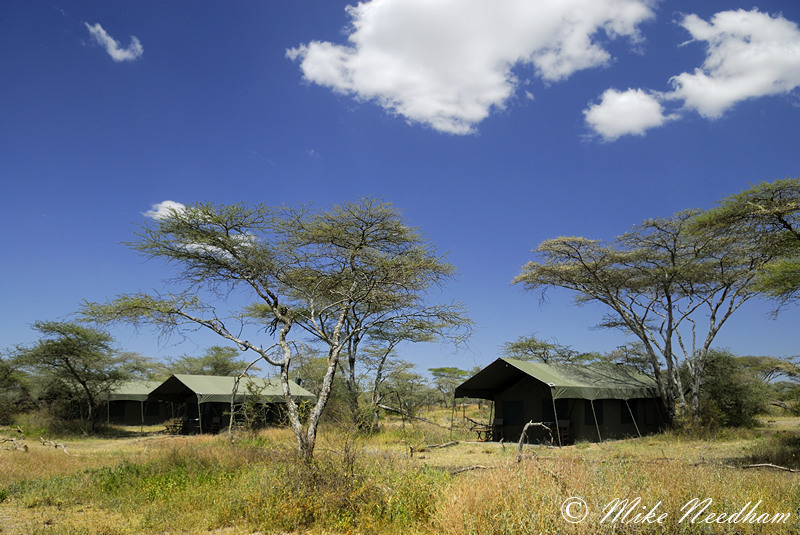 This area I visited whilst staying at both Seronera and Ndutu, and when travelling between them, as the scenery was striking and this was the area where I saw the greatest congregations of wildebeest (mainly males) and zebra. 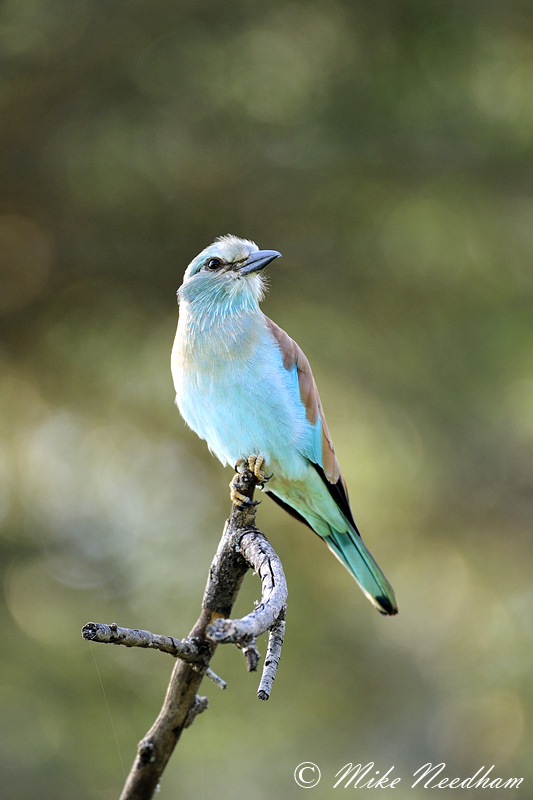 The landscape incorporated a number of different habitats including open plain, acacia bush, a small soda lake and of course the beautiful granite kopjes. A significant number of the migrating wildebeest and zebra were in the area during my stay, more so at the start of week 2 as by the latter stages of the trip the herds were clearly moving on to pastures new, seemingly towards Seronera which was virtually empty of animals when I stayed there the week before) but the grass was green and tall. 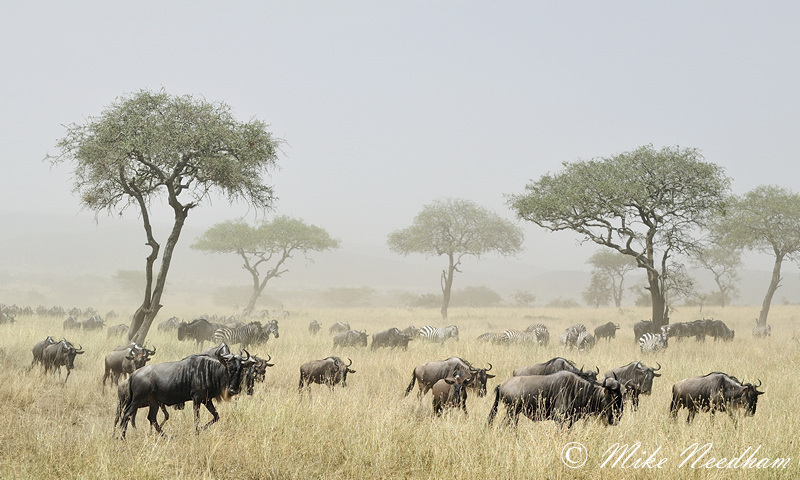 In a ‘normal’ year the migration would not reach this part of the Serengeti until around July, but this early popularity was not overly surprising as the grass here was far lusher that it was around Ndutu which was unseasonably dry. Really dry! I did manage to capture a few shots of the herds in this area but it was still far less impressive than the huge herds that can usually be seen and there was not the mass calving which I had planned and timed the trip for. That said I was pleased with the productivity of the area which yielded some nice landscapes, giraffe in the acacia rich areas, various animals in and the kopjes, a lovely young tree climbing male lion right by the road, zebra amongst the dust and two attempted lion hunts, one of which was successful. Well, hunt may be a little misleading in the unsuccessful case. 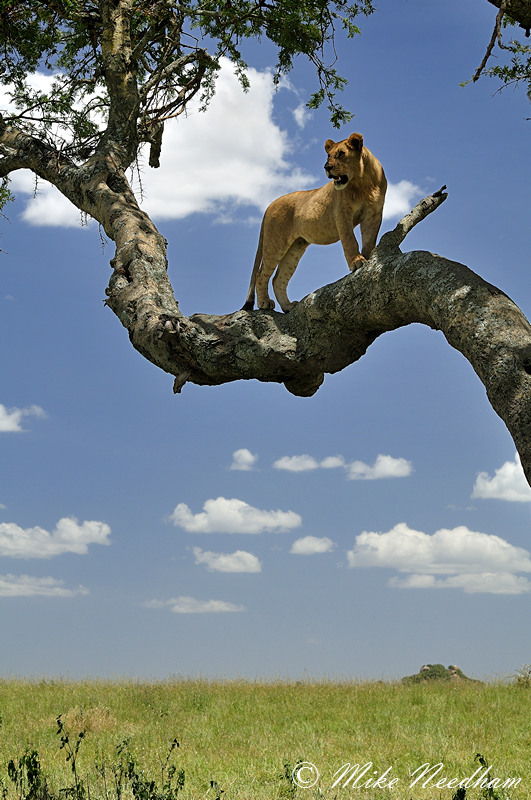 The lion were resting and wildebeest virtually walked in to them. Again this was right by the road. 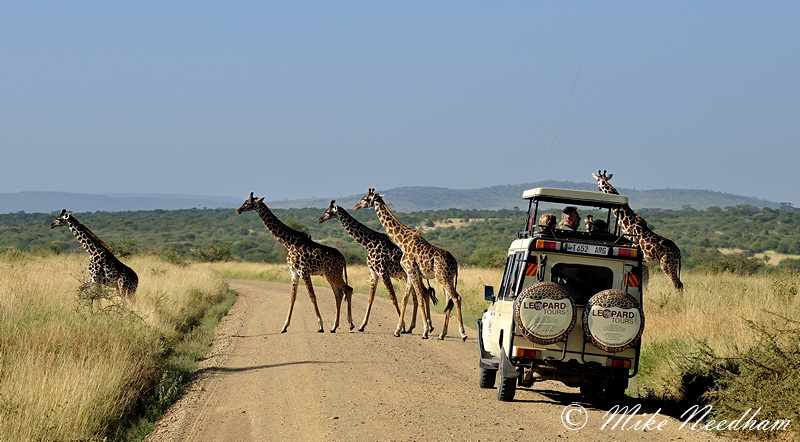 The whole trip had effectively been built around spending a reasonable amount of quality time in the Ndutu region which straddles the southern Serengeti plains and the Ngorongoro Conservation Area. This is the area where the majority of the migration should have been, and where, due to the nutrient rich grass, the wildebeest calving typically takes place over a very few short weeks around January and February. 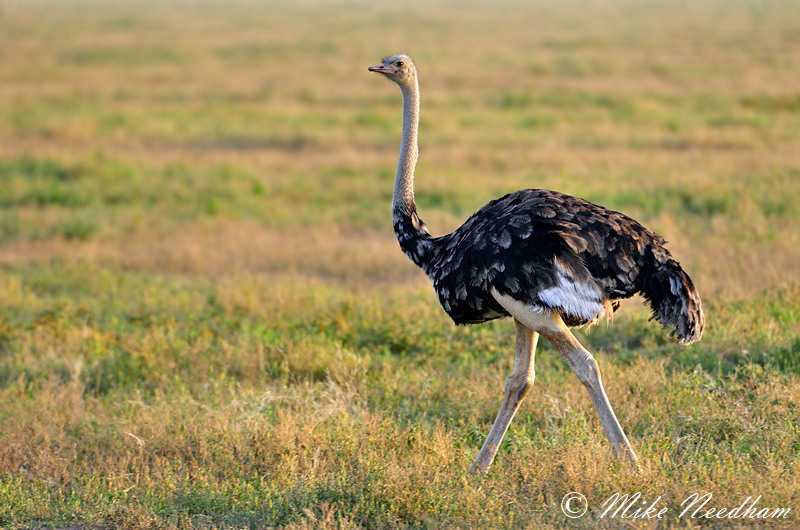 Despite the lack of rain Ndutu was very productive with very good sightings of lion, cheetah, leopard, various herbivores, birds of prey, flamingo, ostrich, …….you get the idea. In fact the only noticeable absentee was elephants. Judging by the tree damage, some of it quite recent, elephants clearly do frequent the area but I had just one brief distant sighting in the time I was there. The number of animals was actually a little surprising as this region was incredibly dry, a far cry from the lush green calving ground that I was expecting. Still, wildlife is rarely totally predictable and any photographer worth his (or her) salt has to be flexible and willing to adapt (just like the animals). Photographing lion was a breeze and towards the end of the week I would often leave the lions to others to photograph and go off in search of something else. The lions here were having a bonanza and it was not uncommon to find kills, indeed one morning a pride had made three kills within about 100m of each other. 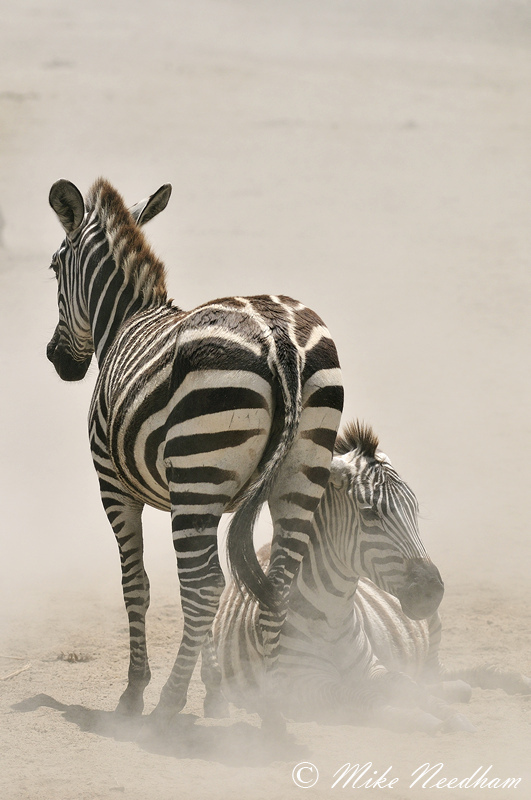 In the evening of another day whilst heading back to camp we saw a local pride stalking 3 zebra at a small patch of water in the dried-up “swamp”. How the zebra did not spot them until the final charge I really don’t know but the lead female pulled one of the zebra down and killed it in the water. 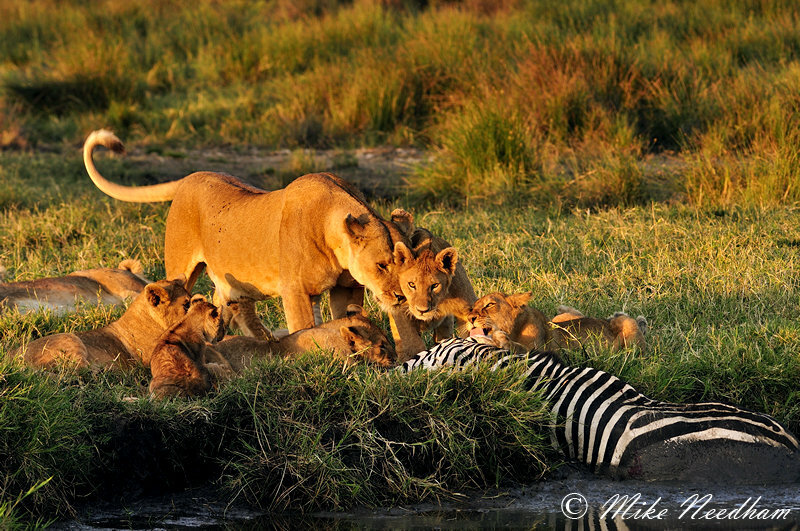 She then went to lie down and catch her breath whilst several of her sisters and some of the cubs took it in turn to attempt to drag the carcass out of the water. It was right in the edge but the banks were shear and about 50cm above the water. My guide assured me that any one of the adults would pull it out if it was hungry enough but the carcass was still there 2 days later. It was clearly easier for the lion to catch another meal than it was to heave this huge striped steak out of the water. 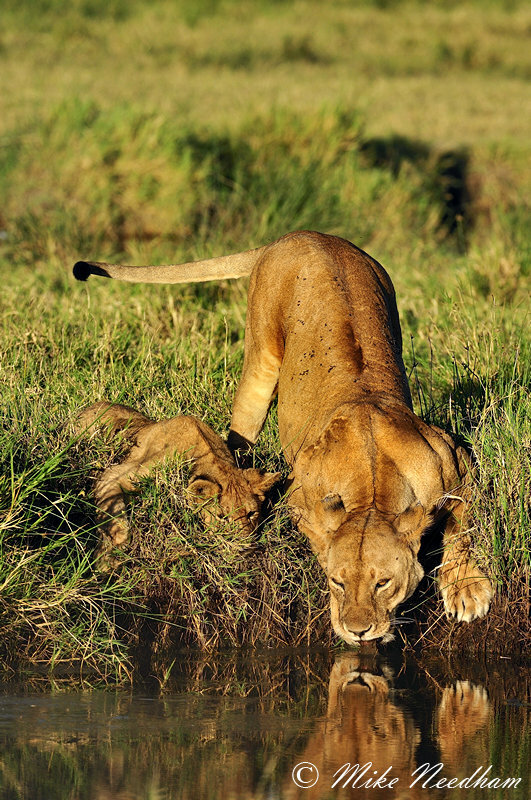 The event did provide some good photo opportunities in the golden evening light however, indeed it provided one of my favourite shots of the whole trip as a lion was perfectly reflected in the water as it drank. She was obviously more self-aware than her sister who went to do the same thing minutes later only to be frightened off by her own reflection! 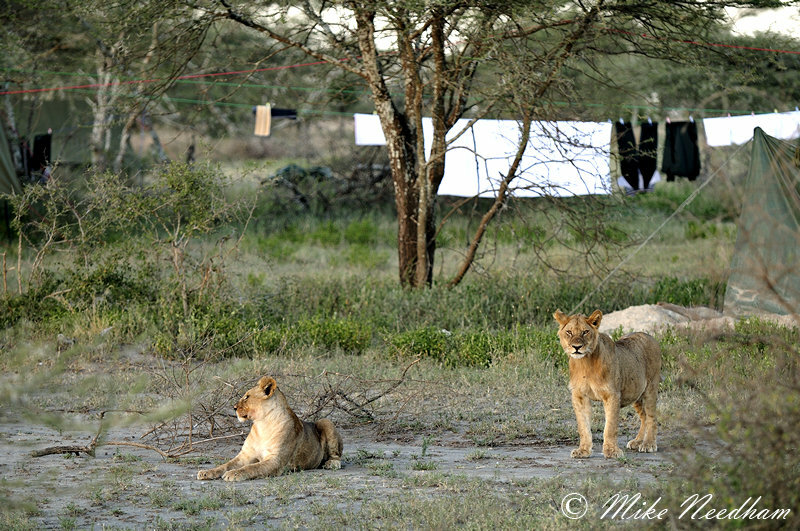 There was also a pride resident close to camp, indeed some of them were actually hanging around the staff quarters to welcome me when I arrived on my first day in Ndutu. They could be heard close by most evenings. The dominant male from this pride was courting one of the females over several days and they were hanging around the scrub area close to Lake Ndutu. This made them relatively easy to find and they would often be our first ‘port of call’ after leaving the camp in the mornings. On finding them it was just a case of waiting for the sun to come over the horizon as the pair would ‘perform’ every 10 to 20 minutes. 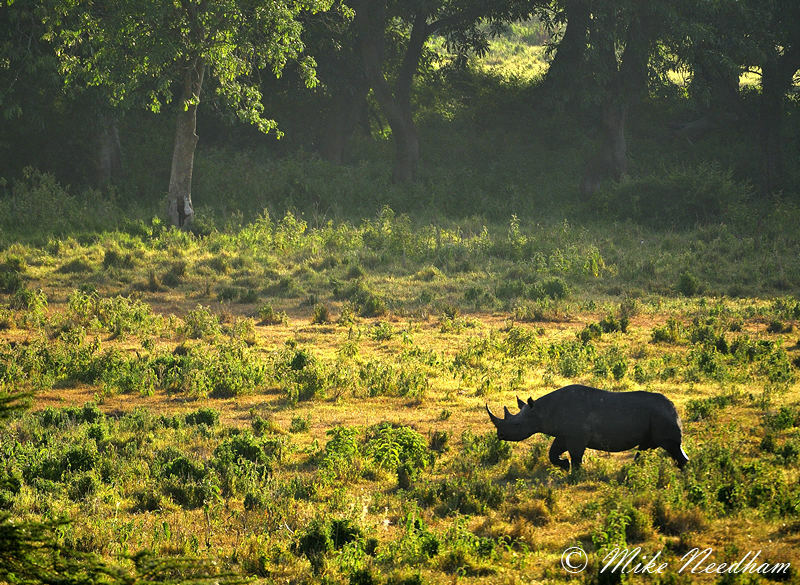 This was my first visit to the Ndutu area and I have to say that I fell in love with it, despite the harsh conditions. There is a wide variety of both subjects and habitats making it a seemingly endless source of images. 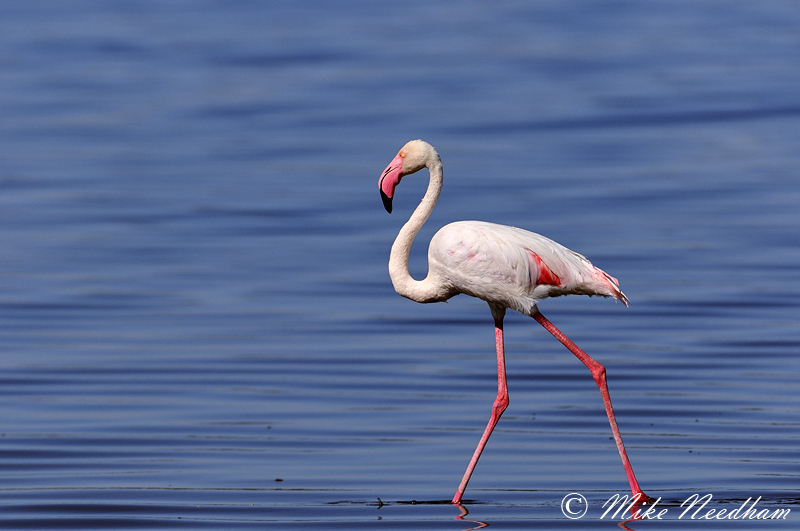 Lake Ndutu was only a short drive from camp and was home to a small population of flamingo, perhaps 1-200. The birds were usually too far from shore but one afternoon whilst driving back to camp I noticed that they were closer than usual to shore, still a fair way out, but just about close enough. As this may be my only chance (and as it turned out it was, again you need to take control) we detoured and spent about 30 minutes with the birds. 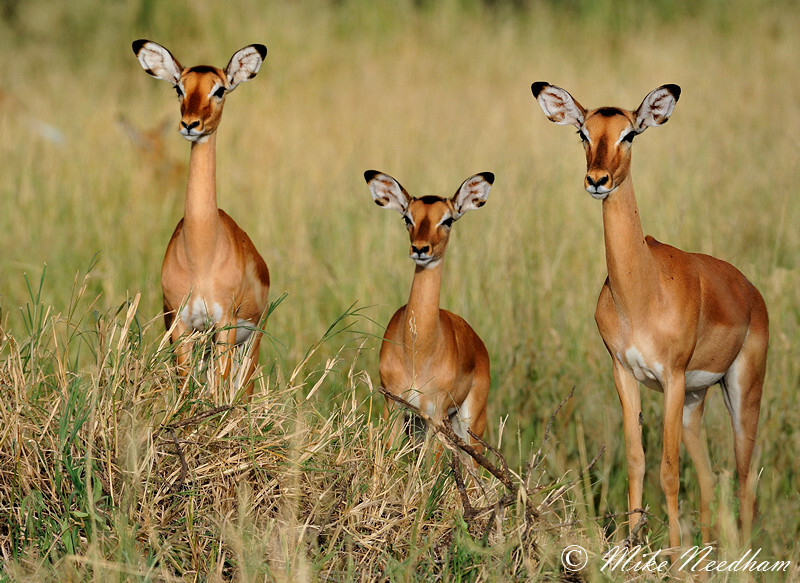 They were a little wary at first but soon settled as they realised that we were not a threat. The light was not ideal but the beautiful salmon pink birds against the blue lake water produced some lovely images which were a nice bonus. 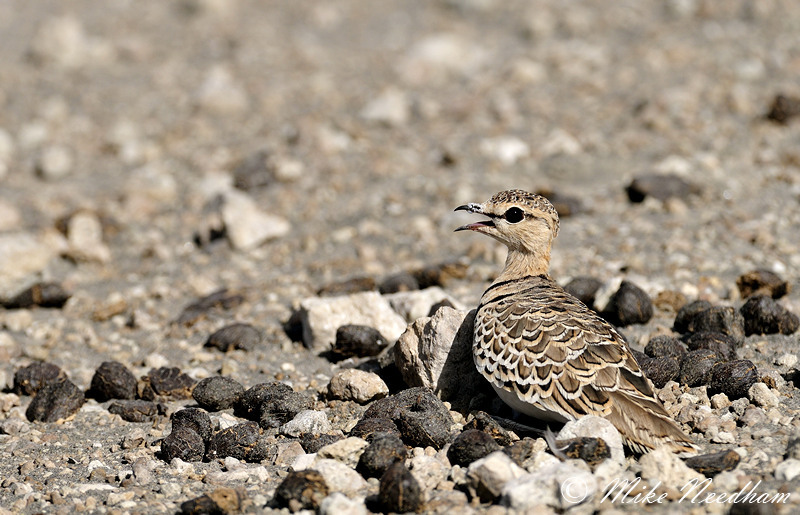 Another day we found a ground nesting courser that had decided to lay its egg on the bare ground right beside the track worn by the safari vehicles. Worst still was that it was close to where two of these tracks crossed and, people being people, it was in real danger when drivers cut the corner (these were literally tracks worn into a dried region of lake bed, they were not official tracks). So we stopped, I captured a few frames with a long lens (I would have liked to have shot a few frames with a very wide angle close in using my remote release but I considered that would have been unacceptably intrusive for the parent bird), and then my guide put a loose ring of rocks around the ‘nest’ with a stick to add a little extra visibility. This was clearly stressful for the bird but without it her egg was surely doomed. Building work quickly completed we backed off and waited until she settled back on the nest. We checked again later that afternoon and again a couple of days later just before I left. 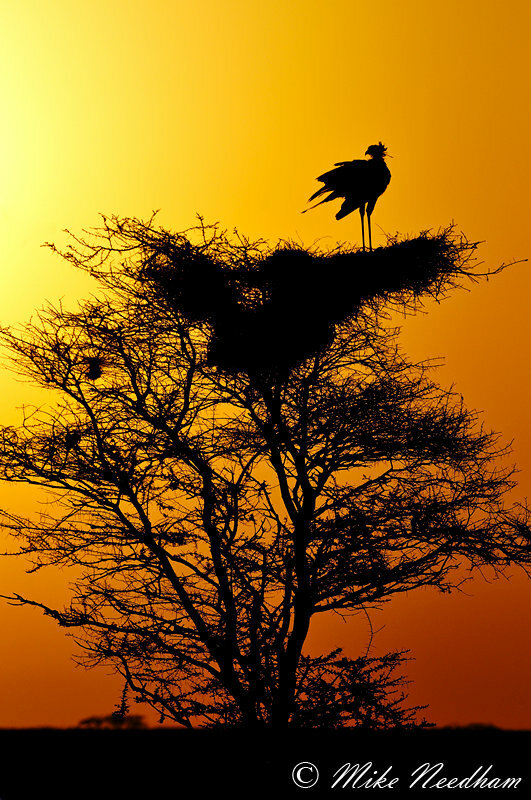 Bird and egg were still there, thanks no doubt to the actions of Goodluck, my guide. There were many other little stories and memories from the Ndutu area and I certainly enjoyed my time there, leaving with happy memories and great images in equal measure. For my first week or so I lodged in a small dome tent (approx. 6ft x 6ft) on various public camp sites. This was a conscious decision to keep costs in budget and, as I was only planning to be in camp for a shower, my evening meal and to sleep, it seemed a sensible choice. Far preferable to stopping in more comfortable accommodation but for half of the time, or less. Overall I think that this was a good choice and it was a nice experience to be camping (as opposed to living in a big tent), though I did have a cook in addition to my guide for this part of the trip so as not to distract me from photography with daily living essentials. My original plan was to ‘basic camp’ for the full 2 weeks of the trip but there are apparently no public camp sites in the Ndutu region which was a potential issue. 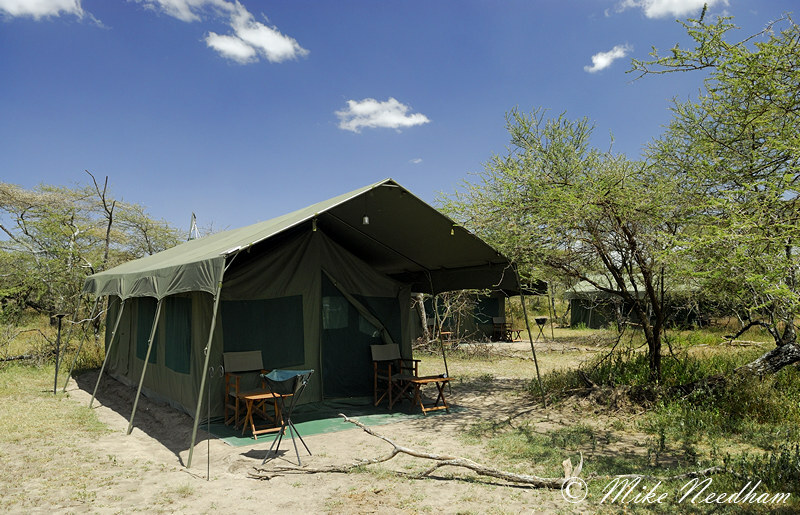 Fortunately Tanzania Journeys, the local agent actually providing the ground logistics, had recently (December 2011) opened a permanent camp in the area and plans were made for me to stay there. The communication for this part of the trip clearly had broken down a little as I had originally thought that I would be staying in one of the eight or so large fixed walk in tents that the camp offered, but when I commented to the UK agent that it would probably be nice to have this bit of comfort at the end of the trip it was quickly clarified that I would be pitching my little dome tent on the edge of camp but using the general camp facilities. This was fine by me given that was my original guidance to the agent and so I gave it no more thought until the day before we were due to arrive at Ndutu (Halisi camp). I was discussing general plans with my guide when he mentioned that Hope, our cook, (that’s right, my travelling companions were “Hope” and “Goodluck”) would be leaving the next day as she would not be needed at Ndutu. At this point, curious about how the camp logistics would work, I quizzed a little deeper. 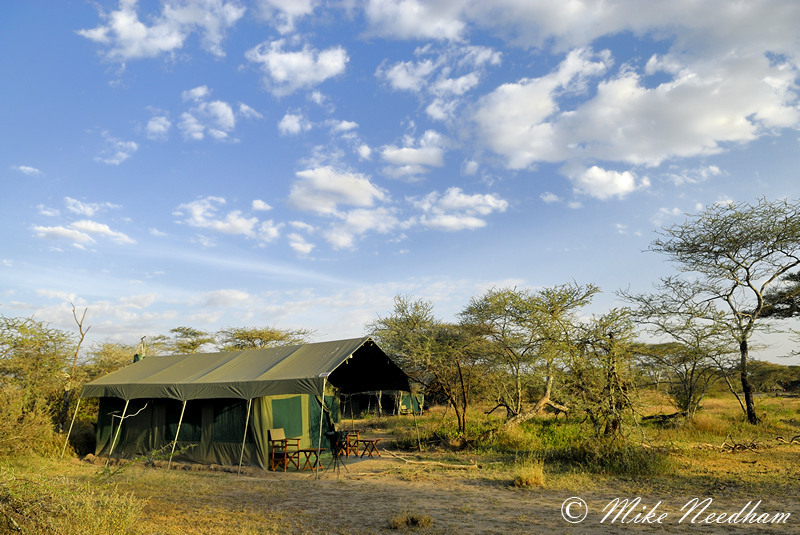 Goodluck’s understanding was that I would indeed be in one of the luxury tents for the stay at Ndutu, and so it proved to be. A tent I could actually stand upright in, a real double bed, shower, en-suite, solar powered lights, etc. All luxuries I had happily lived without the previous week but which were now very appreciated. It was wonderful. The camp manager even gave me free access to his office tent so that I could use the ‘mains’ power to charge batteries and, more importantly, download and back-up my images. Indeed, for the last evening at Tarangire it was a little hard to go back to the dome tent, but it was also a fitting way to end a wonderful trip. Sadly I don’t have images from most camps, I spent so little time in them and then usually only when it was dark. All in a fabulous trip and some great photography.